Is it possible to agree AND disagree with a statement? And is it wise to disagree with John Muir? It’s so true, there is no place like Alaska, but we at Backcountry Journeys urge you all, regardless of age, to visit our nation’s 49th state. Even if you do chance ruining the rest of the world for the rest of your life (kidding, of course). Not only is Alaska a surreal place to see, it provides a cornucopia of photographic delights. 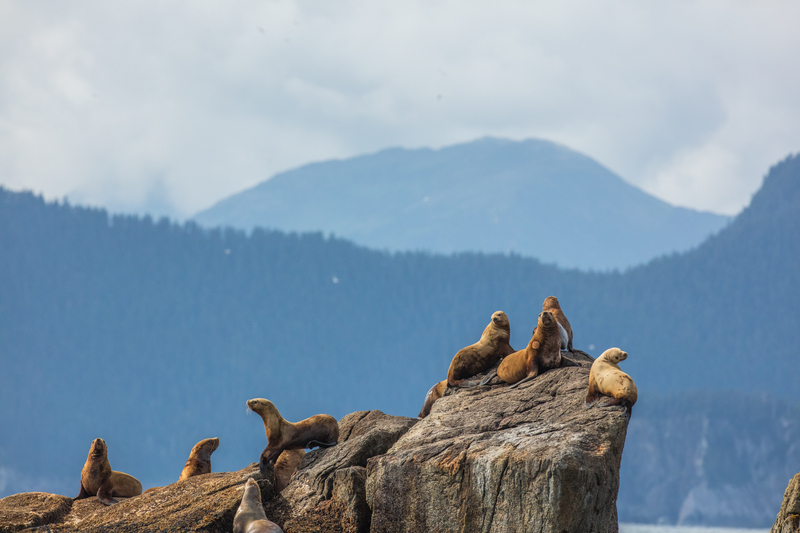 And there might not be a better way to visit Alaska than by joining us on one of this summer’s Marine Wildlife of Alaska: Kenai Fjords Tours! At the edge of the Kenai Peninsula lies a land where the ice age procrastinates. Nearly 40 glaciers flow from the Harding Icefield, which is the crowning feature at Kenai Fjords National Park, located near Seward, Alaska. The Harding Icefield and its outflowing glaciers cover 700 square miles of Alaska’s Kenai Mountains in glacier ice. Created more than 23,000 years ago during the Pleistocene Epoch, the Icefield was a small piece of the vast ice sheet that covered much of Southcentral Alaska. 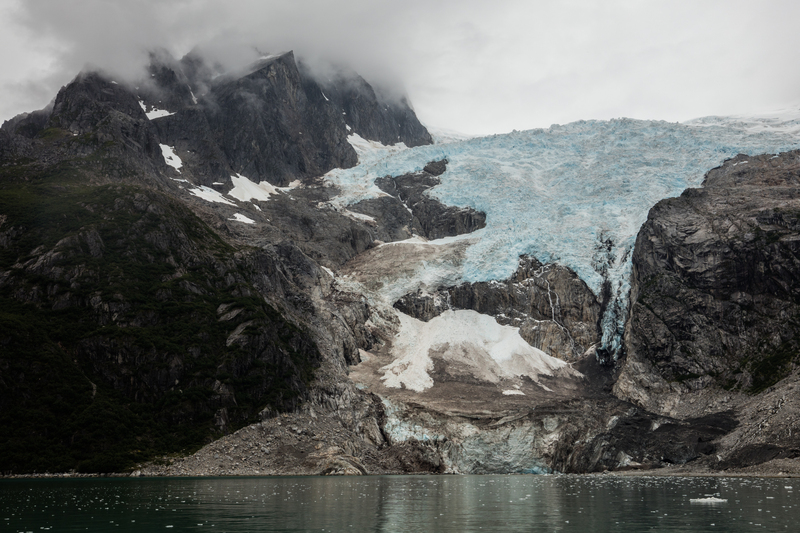 Speaking of glaciers, Kenai Fjords National Park is a land dominated by glaciers, massive rivers of ice that flow out from the Harding Icefield. Today, nearly 51 percent of the park is covered by ice, but all of this land was once buried beneath the ice and still bears its influence. The dramatic coastal fjords and valleys of the park reveal a long history of glaciation. Designated in 1980, Kenai Fjords National Park spans over 1,000 square miles of icy waters and lush forests where wildlife thrives. Our Marine Wildlife of Alaska: Kenai Fjords trip is based out of the quaint but lively historical fishing town of Seward, Alaska. Seward features a lovely small boat harbor and is nestled deep in the mountains on Resurrection Bay. On this trip we stay at the excellent Harbor 360 Hotel right on the Harbor in Seward – you can often photograph puffins, otters, bald eagles and harbor seals right out of your window! 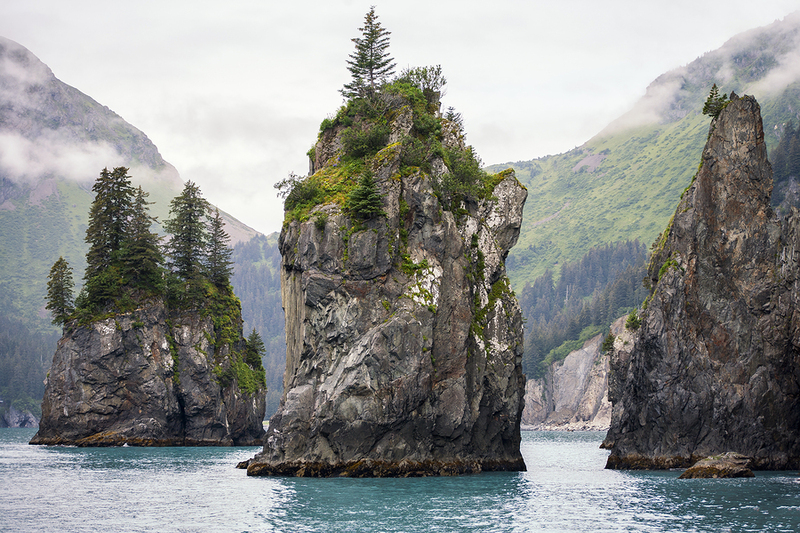 Each day we’ll board our specially designated photography vessel, and head out into the mysterious bays and coves of Kenai Fjords National Park. The wildlife photography in Kenai Fjords is second to none and we have chosen this time of year to explore these waters for several reasons, the most prominent being that it is the best time for whales. Common species include humpback and orca. We will also have the opportunity to photograph seals, sea lions and sea otters as well as a variety of seabirds including bald eagles, horned puffins, kittiwakes. Wildlife is everywhere on this journey – and not just marine wildlife. 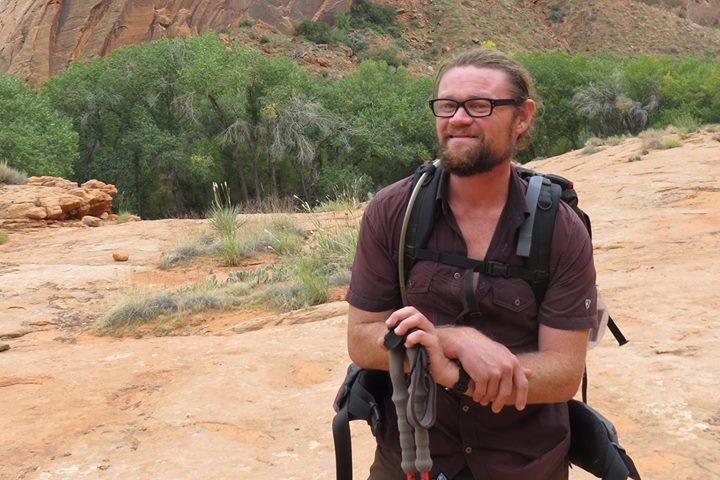 We regularly see bears and mountain goats high on the mountain cliffs and down on one of the many isolated beaches. 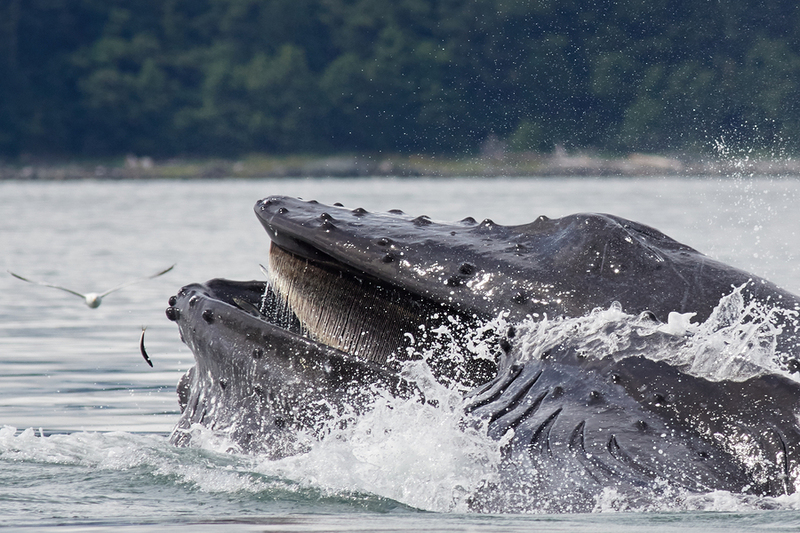 The humpback has a distinctive body shape, with long pectoral fins and a knobbly head. It is known for breaching and other distinctive surface behaviors, making it popular with whale watchers. Males produce a complex song lasting 10 to 20 minutes, which they repeat for hours at a time. Its purpose is not clear, though it may have a role in mating. Found in oceans and seas around the world, humpback whales typically migrate up to 16,000 miles each year. Humpbacks feed in polar waters, and migrate to tropical or subtropical waters to breed and give birth when they fast and live off their fat reserves. Their diet consists mostly of krill and small fish. The killer whale, or orca, is a toothed whale belonging to the oceanic dolphin family, of which it is the largest member. 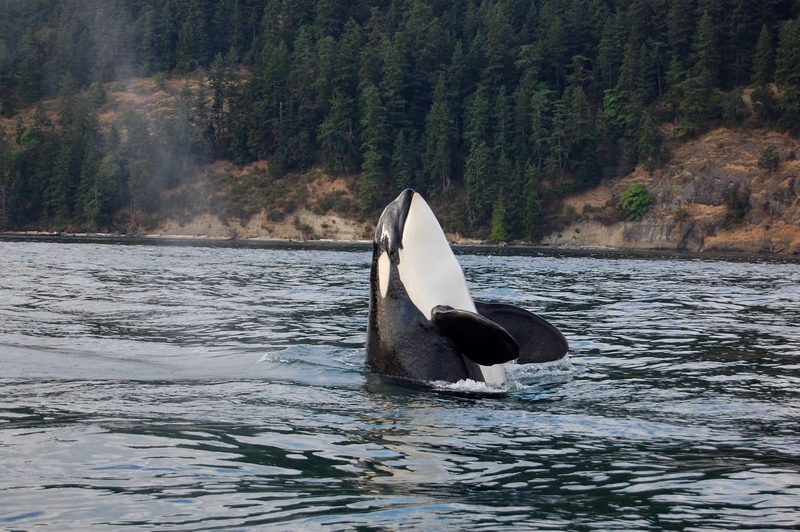 Killer whales are apex predators, as there is no animal that preys on them. They are considered a cosmopolitan species, and can be found in each of the world’s oceans in a variety of marine environments, from Arctic and Antarctic regions to tropical seas—killer whales are only absent from the Baltic and Black seas, and some areas of the Arctic Ocean. The sea otter is a marine mammal native to the coasts of the northern and eastern North Pacific Ocean. Adult sea otters typically weigh between 31 and 99 pounds, making them the heaviest members of the weasel family, but among the smallest marine mammals. Unlike most marine mammals, the sea otter’s primary form of insulation is an exceptionally thick coat of fur, the densest in the animal kingdom. Although it can walk on land, the sea otter lives mostly in the ocean. The sea otter inhabits offshore environments, where it dives to the sea floor to forage. It preys mostly on marine invertebrates such as sea urchins, various molluscs and crustaceans, and some species of fish. 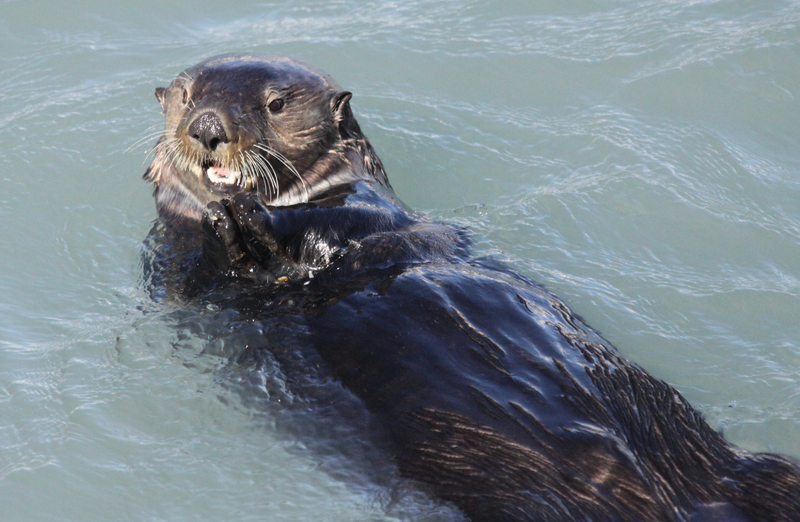 Its diet includes prey species that are also valued by humans as food, leading to conflicts between sea otters and fisheries. The harbor seal are found along temperate and Arctic marine coastlines of the Northern Hemisphere. The most widely distributed species of pinniped, they are found in coastal waters of the northern Atlantic and Pacific Oceans and the Baltic and North Seas. Harbor seals are brown, silvery white, tan, or gray, with distinctive V-shaped nostrils. An adult can attain a length of six feet, and a mass of 290 pounds. Blubber under the seal’s skin helps to maintain body temperature. Females outlive males (30–35 years versus 20–25 years). 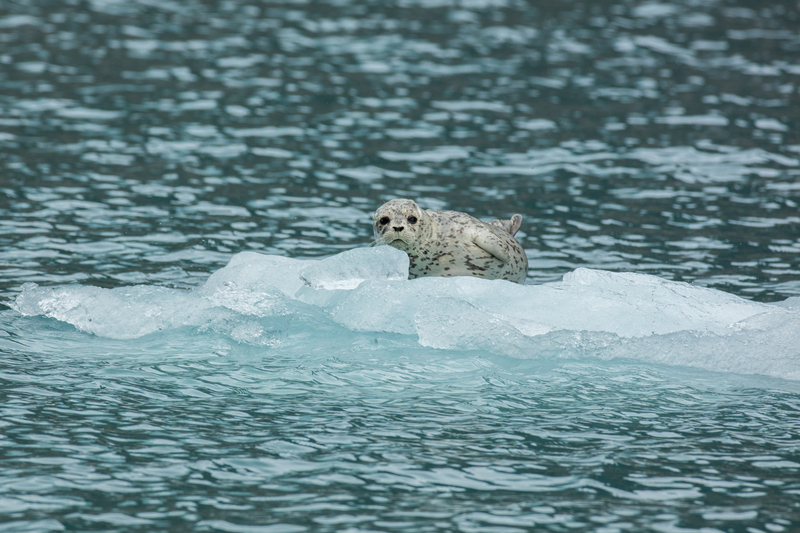 Harbor seals stick to familiar resting spots or haulout sites, generally rocky areas (although ice, sand, and mud may also be used) where they are protected from adverse weather conditions and predation, near a foraging area. The global population of harbor seals is 350,000–500,000. The two species are physically very similar. They have a white head and body, grey back, grey wings tipped solid black and a yellow bill. 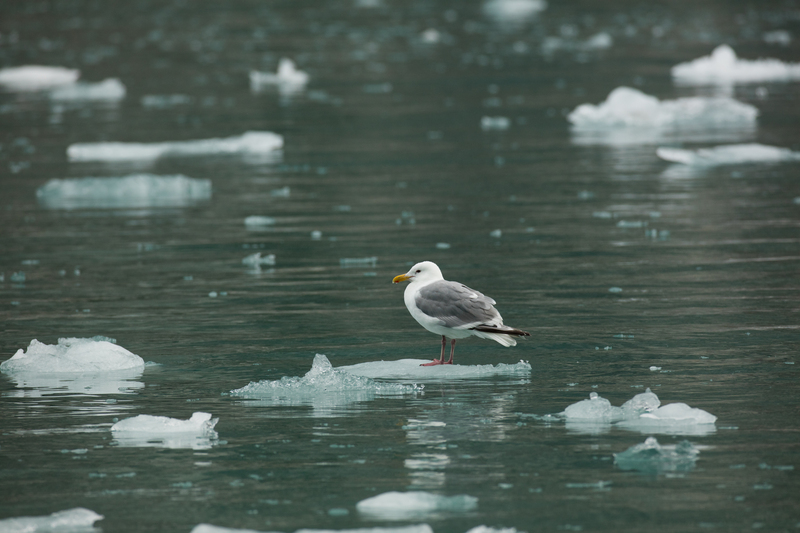 Black-legged kittiwake adults are somewhat larger (roughly 16 inches in length) with a wingspan of 35–39 inches than red-legged kittiwakes (14–16 inches) in length with a wingspan around 33–35 inches. Other differences include a shorter bill, larger eyes, a larger, rounder head and darker grey wings in the red-legged kittiwake. Puffins are a group of diving birds that swim underwater using their wings for propulsion and their feet for steering. 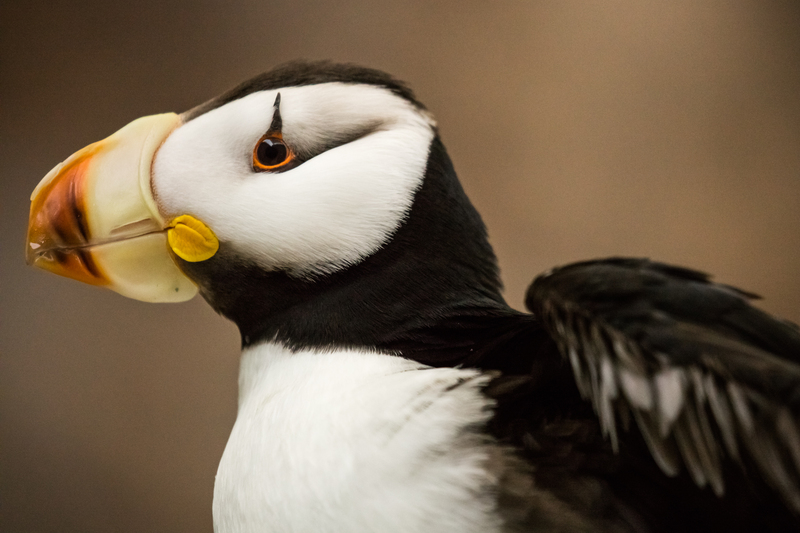 Two species of puffins nest in Kenai Fjords National Park, the horned and the tufted. At the end of each exciting day while on this tour, we’ll return to port from our adventure and retire to our warm, well appointed rooms in Seward. Evenings on the town are excellent and our groups dinner are filled with good company, laughter and stories of the day. So, why not step aboard and join us this summer for the photography safari of a lifetime through the icy waters, forested coves and stunning alpine scenery of Kenai Fjords National Park? You’ll not regret it, even if Muir was correct and experiening Alaska does ruin the rest of the world for you. We say do it anyway!